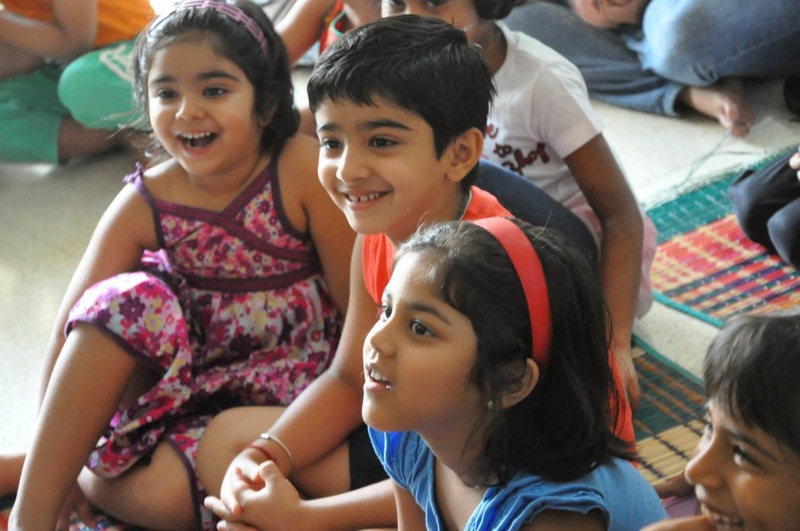 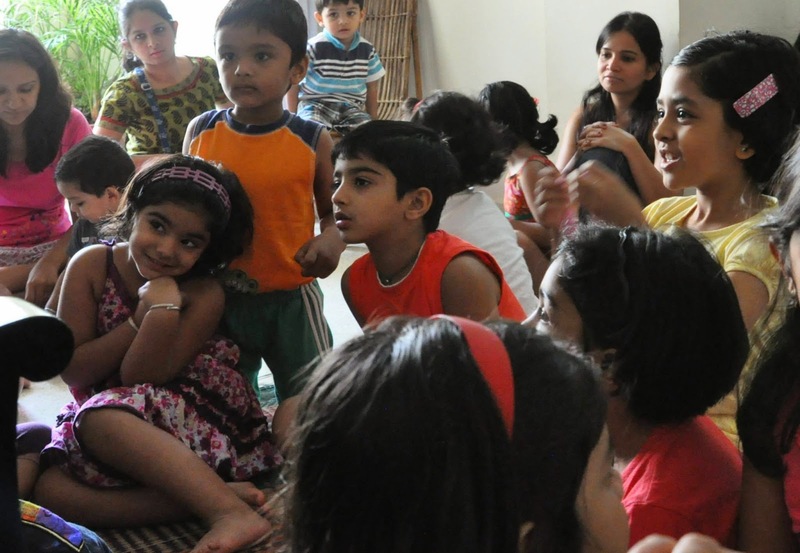 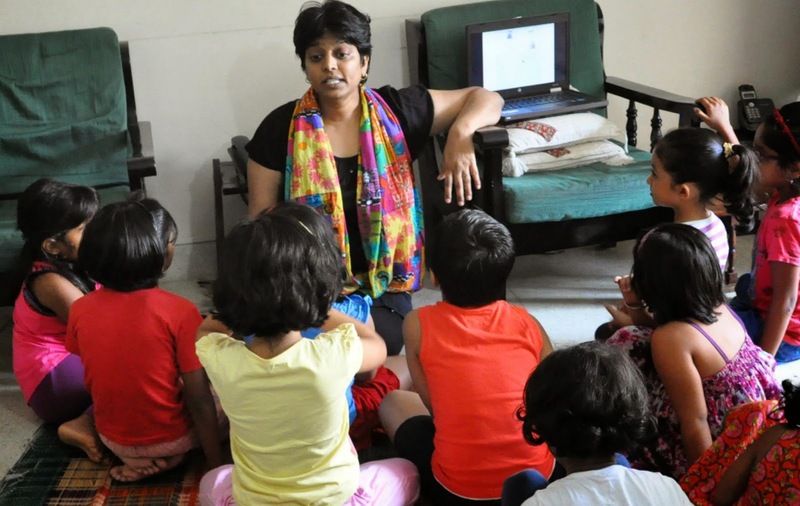 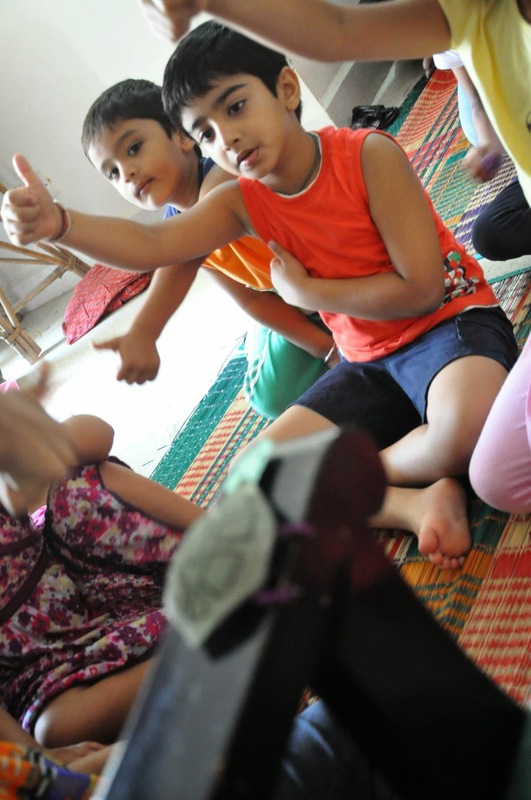 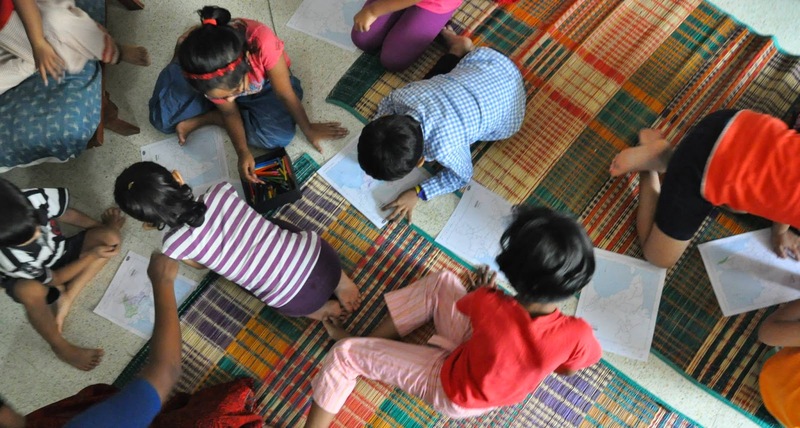 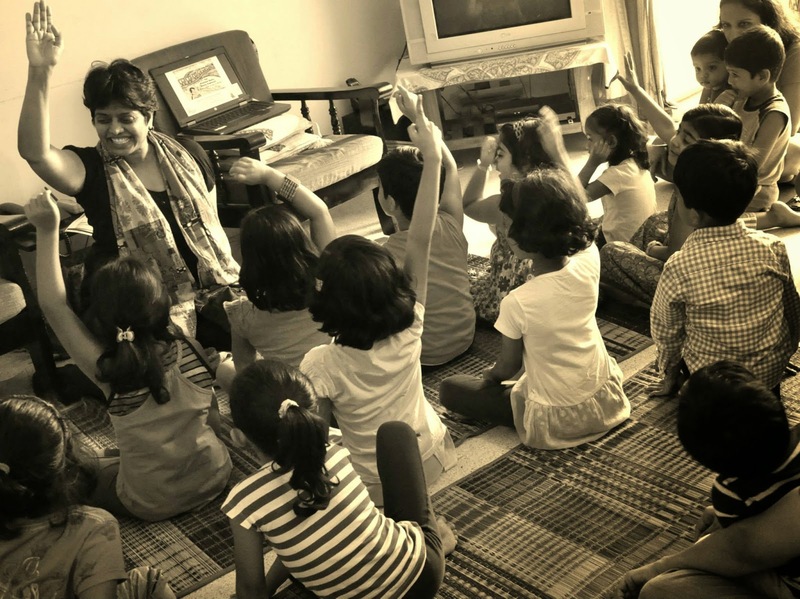 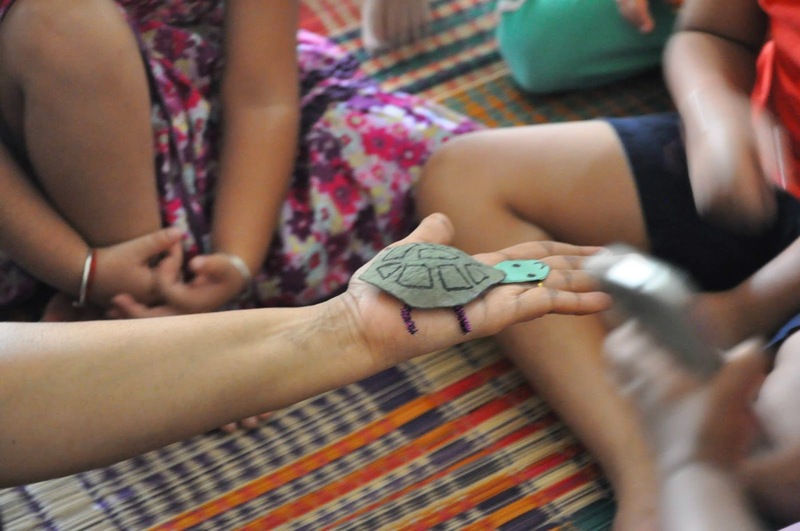 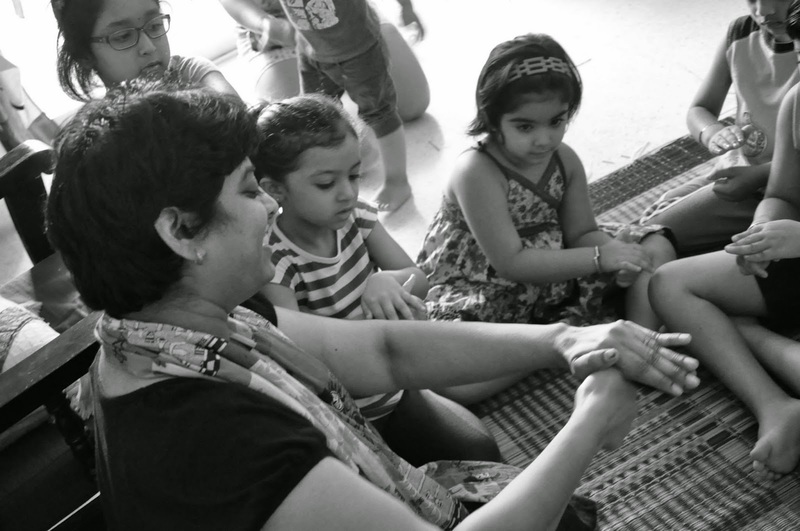 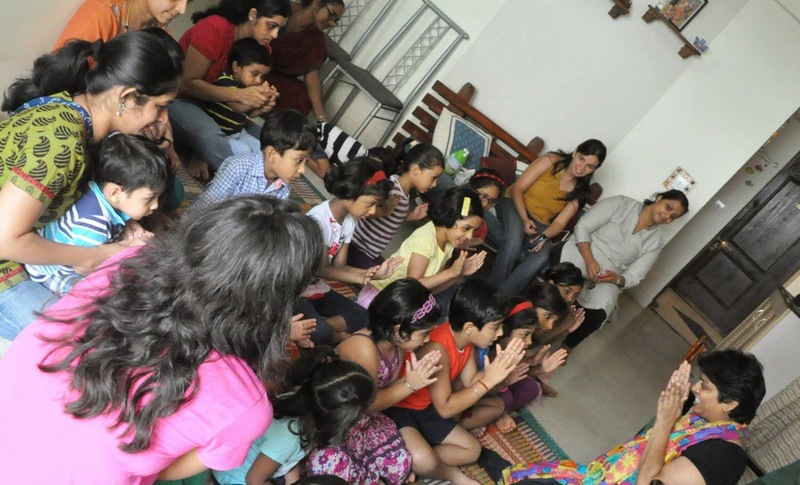 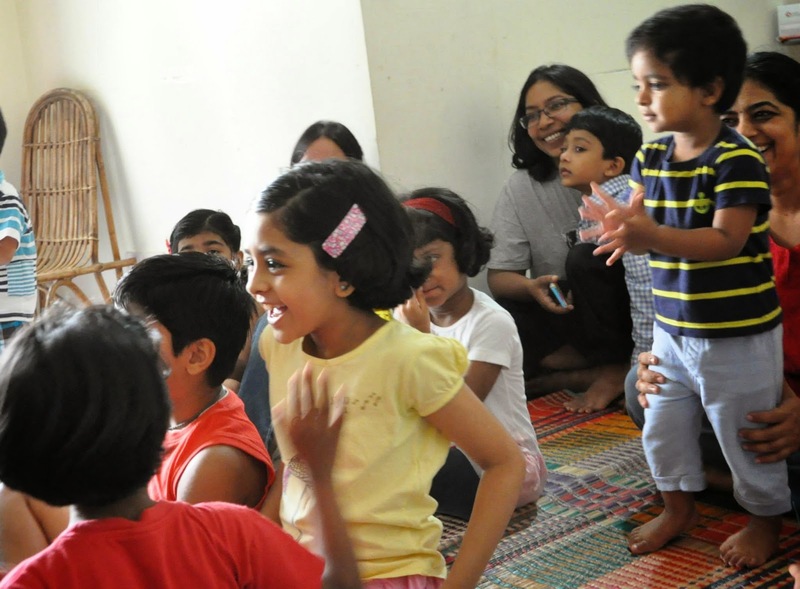 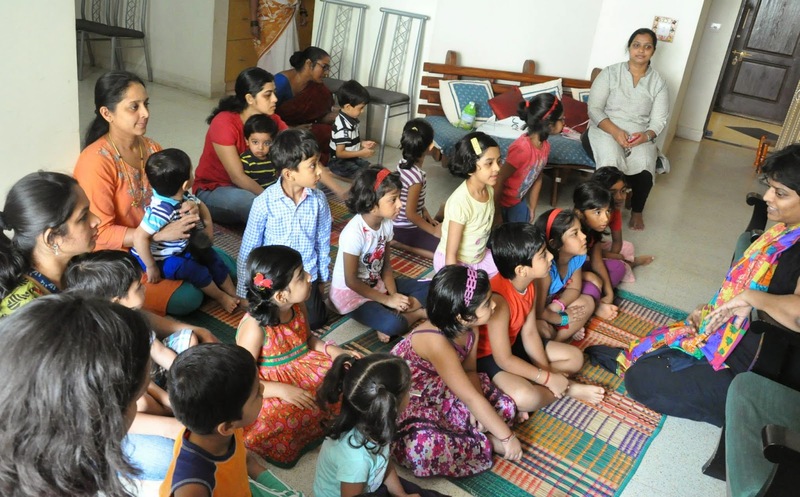 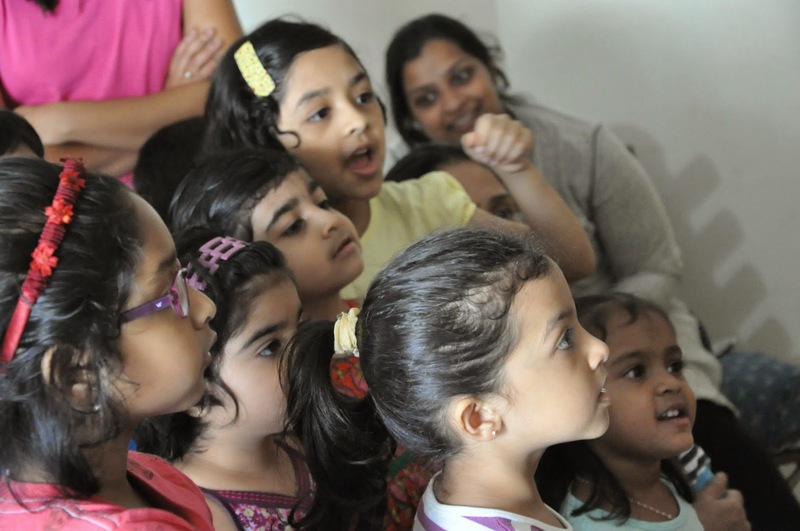 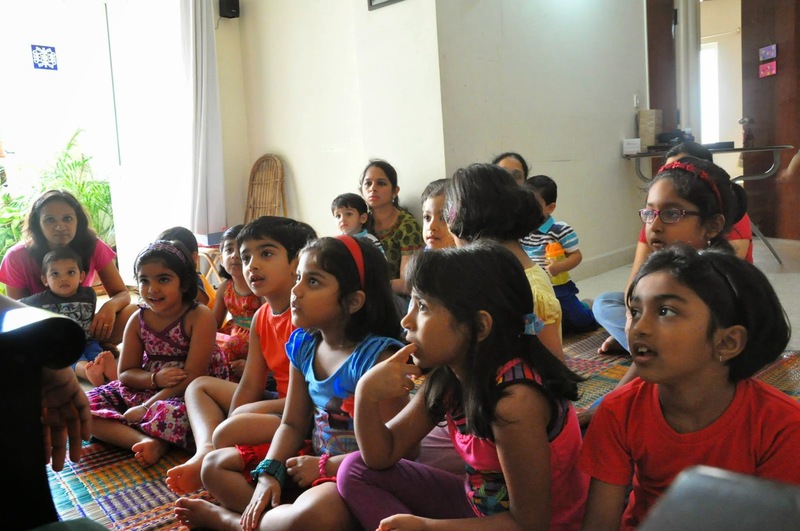 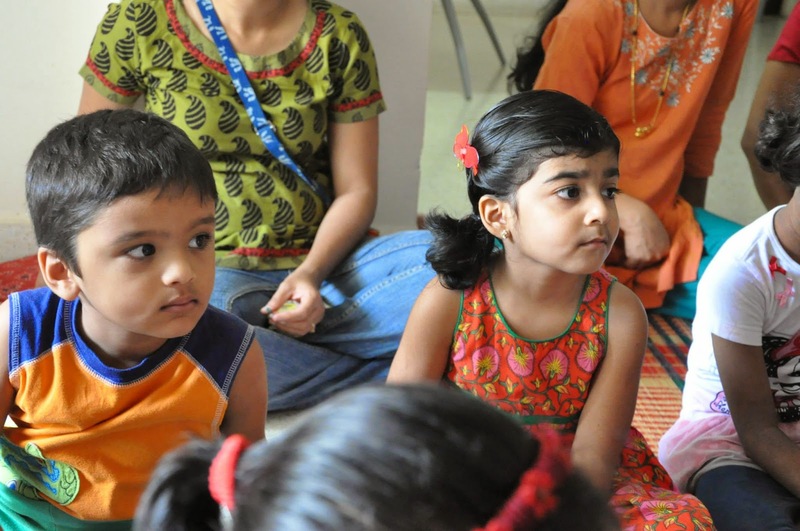 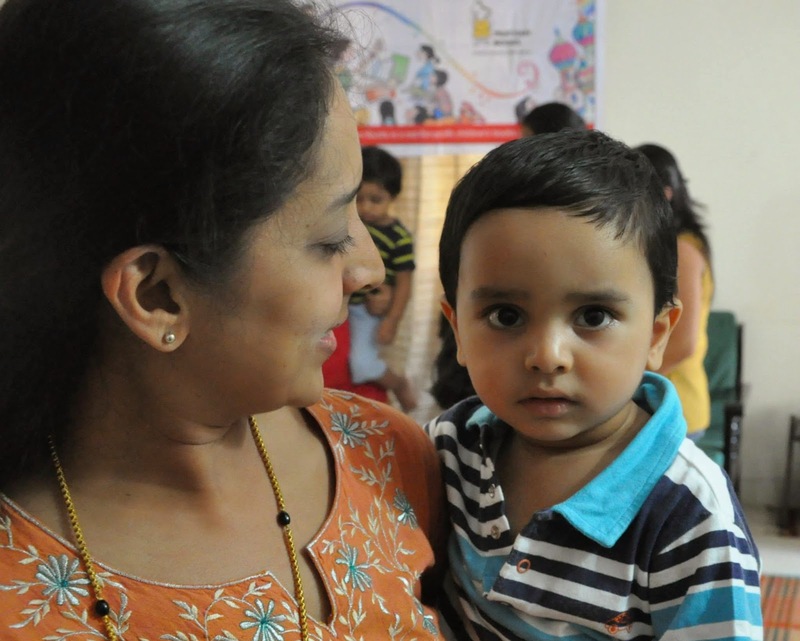 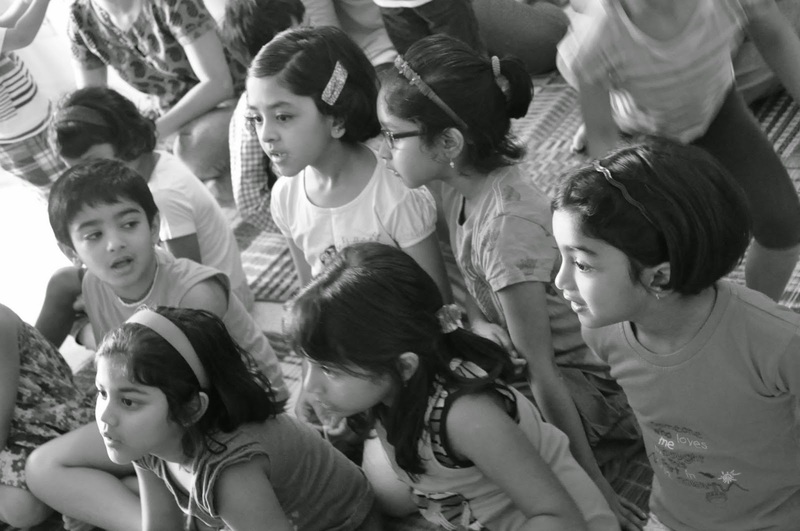 On 7th June, Arthi Anand conducted her third TENTASTIC storytelling session. 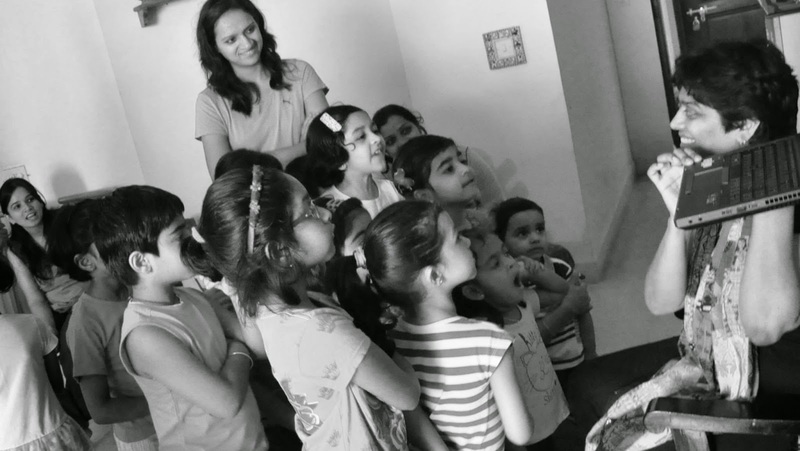 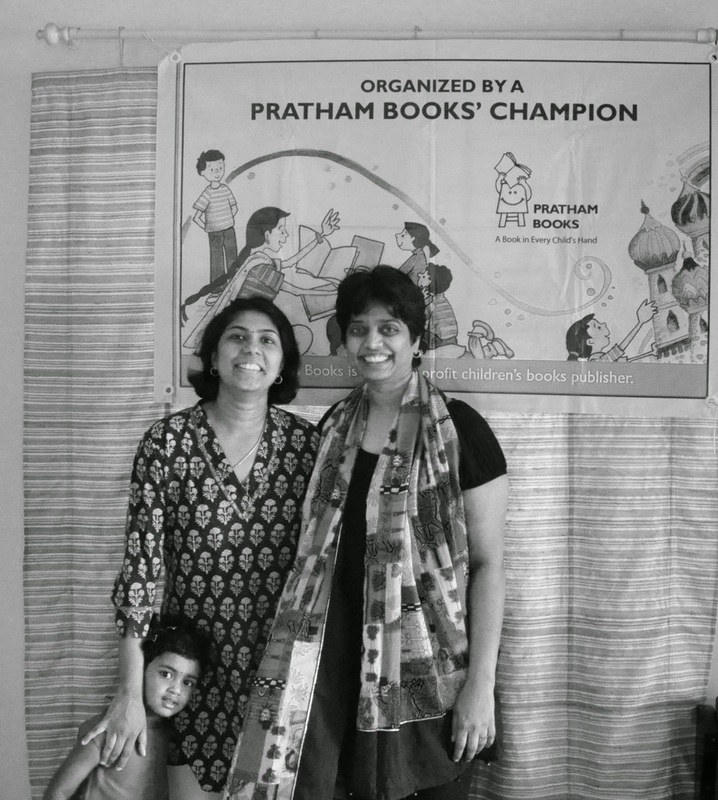 A lover of stories, a Tulika author, a weekend story teller (Art's Tales) , a Saffrontree reviewer, this mom of two ensures she gets her fill of stories and shares the joy they bring. 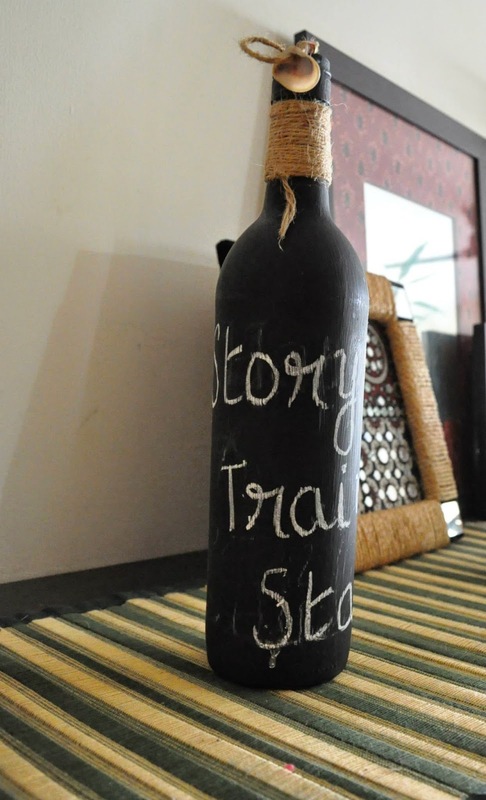 She also blogs at http://artstales.blogspot.in and http://abouttimenow.blogspot.in. 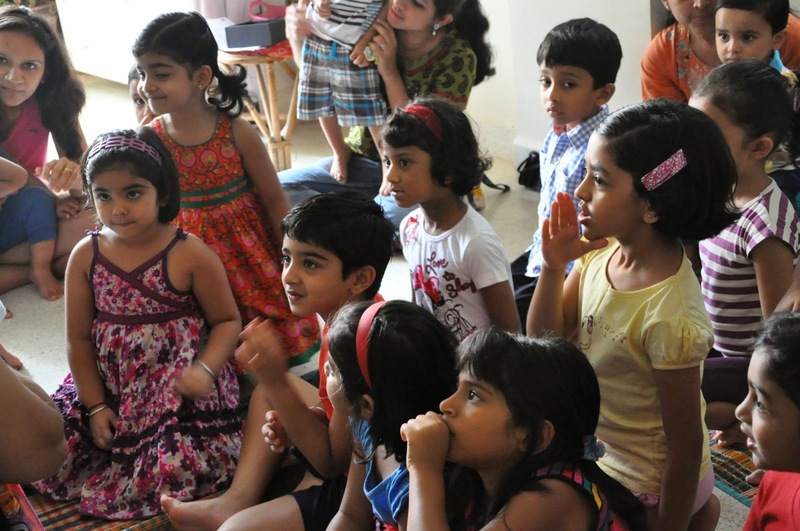 At a neighborhood Prestige Apartment on Saturday June 7 really young kids joined their older siblings and freinds for a noisy and fun time Thanks to Swapna for getting them together and for lending her home for the session..